Even the brutal tactics by President Lukashenko of Belarus in the December 2010 elections did not disturb his concordat negotiations with the Vatican — only the presumed objections of the Russian Orthodox Church, which now supports Putin's war machine. Lukashenko's reign of terror ensures that when a concordat finally comes, it will be ratified, but he will wish to avoid antagonising the Belarusian Orthodox Church that is part of the Russian one. No longer shunned by Western nations, he has less need of Vatican recognition. It is acknowledged by both sides that the concordat talks have "stalled". The Belarusian Orthodox Church (BOC), which is the state church of Belarus, is a branch (exarchate) of the Russian one and it takes its lead from Patriarch Kirill, the primate of the Russian Orthodox Church. He, in turn, supports the Russian President Putin. This situation requires Lukashenko to keep gauging how much independence he can afford to display. The Vatican will understand this and was obviously hoping to get the concordat through quickly while Lukashenko felt himself in a position was to brave Orthodox displeasure to do this. A Vatican fix for the declining population? Right after the 2010 election the Belarusian Government began its own population drive. It announced that in the first two months of 2011 there was an “excess of deaths over births by 6347”. No mention of another population measure, that of life expectancy. This would reveal the “female advantage”, the margin by which women outlive men. In 2000 the differential was 4.5 years worldwide ― and the highest in the world, 12.3 years, was found in Belarus. This is an indication of the alcoholism rampant among Belarusian men. Alcohol has been a traditional tool of Russian autocrats: Catherine the Great said it is easier to rule a drunk public and under Stalin cheap vodka be sold by the glass at “at every street corner”. Lukashenko, too, appears to appreciate the political passitiy of alcoholics. He prefers to crack down on legal abortions, which will likely result in the deaths of many more Belarusian women ― rather than on the alcoholism which kills off so many Belarusian men. Like leaders in other former Soviet republics, Lukashenko has tried to play off Russia and the West against one another. His problem, however, is that the European Union insists on human rights. His solution was to deal with the one European state that would still tolerate his behaviour and could even help him force the unhappy women to reproduce — the Vatican. Though barely half the population belongs to the Belarusian Orthodox Church, it is treated as the state church and its head, Patriarch Filaret, as a national leader. His All Holiness supplements the Patriarch’s panagia, (the round icon with the Virgin-and-Child), with the Hero of Belarus medal (still a star from the Communist era). This ended official Belarusian dealings with the Vatican for a while. Prudence dictated a public show of exclusive support for the Belarusian Orthodox Church. Despite the fact that in 2009 only about 48% of Belarusians claim to be Orthodox, Belarus has concluded church-state pacts with the BOC which give the church many concordat privileges. These Orthodox “concordats” are signed by Filaret, the Metropolitan of Minsk and Slutsk, Patriarchal Exarch of all Belarus. By contrast, the Catholic Church in Belarus has been cautious in recent decades. The next year, at the end of 2010, it was announced that a draft concordat was ready for signing. This was at a time when, reacting angrily to criticism of his election thuggery, Lukashenko vowed to do away with what he described as “mindless democracy.”  The rest of Europe reacted with dismay — but not the Vatican, Europe’s last absolute monarchy. In an authoritarian society official recognition acts as a powerful signal. 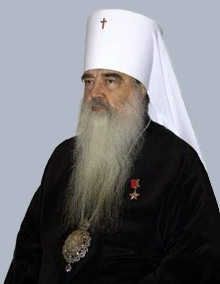 When the Communist regime ended, many atheist apparatchiks adopted the new religious party line and became Orthodox, as they say in Belarus, “in a click”. Thus the state recognition of Catholicism afforded by the concordat can only help the growth of the Catholic Church in Belarus. There has been no papal condemnation of the assaults and imprisonment, in stark contrast to the Pope's call on 10 Janaury for Middle Eastern governments to do more to protect their Christian minorities. The reason for this appears to be strategic. To bolster its claims to Christian sites in the Holy Land, the Vatican needs to stem the exodus of Christians. The Pope was willing to risk a diplomatic stir by chastising Arab governments for not preventing assaults on some of their citizens. However, in Belarus, where the government was actually committing assaults on its people, the Pope remained silent. He wanted their persecutor to give him a concordat. The concordat, was originally expected to be signed soon after the text was finished at the end of 2010, but nothing happened. According to "sources in the Catholic hierarchy" the Russian Orthodox Church and Russia's ambassador in Belarus, made every effort to prevent the signing. Belarusian authorities then "suggested substituting it with specific-area agreements concluded with the local Catholic authorities, thus downgrading the legal framework of relations." However, in situations like this the patient Vatican prefers to wait for the right time to get a permanently binding agreement — a concordat. Putin's invasion of Crimea also lessened Lushenko's isolation, which reduced his need for Vatican recognition. “I’m not Europe’s last dictator anymore,” the President chuckled. “There are dictators a bit worse than me, no? 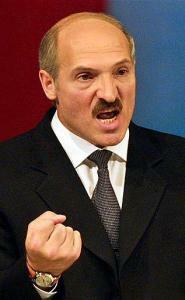 I’m the lesser evil already.”  At least, Lukashenko confines his violent rule within his own borders. The Vatican helped Lukashenko by ignoring an appeal to him by the families of political prisoners. Only under public pressure, did the papal nuncio finally meet the petitioners, and not a word of condemnation has come from the Church. Relatives of arrested politicians, community leaders and common citizens are sending a letter to Pope Benedict XVI with a request to support them by prayer and to help in release on the innocent. Your Holiness, we are relatives of politicians, community leaders and common citizens arrested on December 19 in Minsk. We are turning to you for help. The night of December 19-20 has become one of the most terrible moments in the new history of Belarus. More than 50,000 persons took to the streets in protest against the electoral fraud, but the authorities used unprecedented crackdown measures, trying to maintain power at whatever the cost. Thousands of people were beaten up, many of them were thrown to prisons. Within one night which followed the election day, more than 1,000 persons were beaten up and arrested. Today these people are in Belarusian prisons. 23 persons are incarcerated in the KGB (State Security Committee) prison. 5 of them are presidential candidates, 3 are journalists, and the rest are campaign managers and electioneering agents of the candidates. They are charged with organising and participation in mass riots and face up to 15 years in prison under the Criminal Code. Today these people have become hostages of the regime, like the rest 9.5 million of Belarusians living in the country. Today Belarus is enshrouded in darkness. Arrests of activists, raids and pogroms at independent websites and newspapers offices, searches of apartments continue. The authorities are blackmailing the political prisoners using their little children. We are seeking your help. We ask you to support by your prayer those Belarusians who are in trouble now, and to use all your influence for the innocent to be released from prisons. 9. “Flourishing Belarus pro-life movement a ray of light”, LifeSite News, 6 January 2011. 21. “'Pragmatic' EU Keeps Belarus Sanctions In Suspension”, Radio Free Europe, 17 November 2009. “U.S. Drops Some Sanctions Against Belarus”, Radio Free Europe, 5 September 2008. "The European Union lifted most of the sanctions against named individuals in Belarus’s ruling elite in February 2016 in what was seen by some critics as being a reward for the role Belarus took in hosting peace conferences between Russia and Ukraine. The move horrified many human rights organisations." 25. “‘Pragmatic’ EU Keeps Belarus Sanctions In Suspension”, Radio Free Europe, 17 November 2009. 26. “Belarus president visits Vatican”, BBC, 27 April 2009. 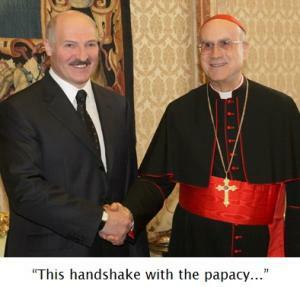 Belarus and Vatican are planning to sign an agreement on cooperation. The details of signing the document were discussed by President of Belarus Alexander Lukashenko and Secretary of State of Pope Benedict XVI Cardinal Tarcisio Bertone on April 27 . New forms and areas of interaction between Belarus and the Order of Malta will help strengthen the relations between Belarus and western countries in political, trade, economic and investment areas, said President of Belarus Alexander Lukashenko as he met with Grand Master of the Order of Malta Fra Matthew Festing on April 28. 34. Quoted in Guenther Lewy, The Catholic Church and Nazi Germany, 2000, p. 90. 46. “Kondrusiewicz: Signing of concordat between Holy See and Belarus will improve country's image Society”, Belarus Telegraph Agency, 02 May 2017.